This is extended version of free database optimization module for PrestaShop. The main difference is fact that this version allows to run database cleanup regularly with cron Jobs. You don't have to manually clean up databse anymore, this module - thanks to cron job support feature - will do the job automatically. 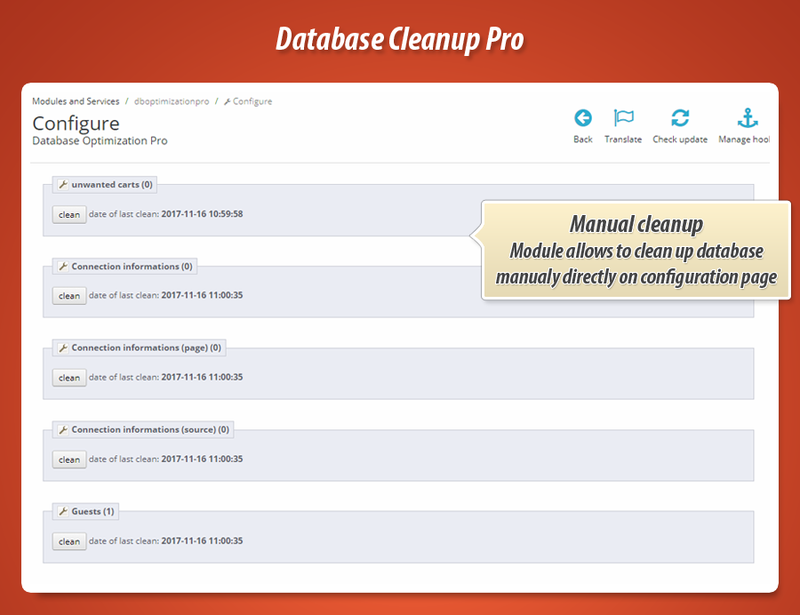 As you already know - this is an extended version of free database cleanup module. 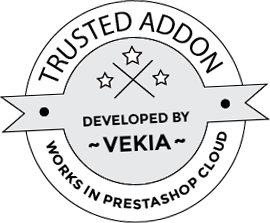 Pro version of this addon is also dedicated for PrestaShop 1.7, 1.6 and 1.5 releases. Thanks to this module you can cleanup database regularly to optimize shop performance. 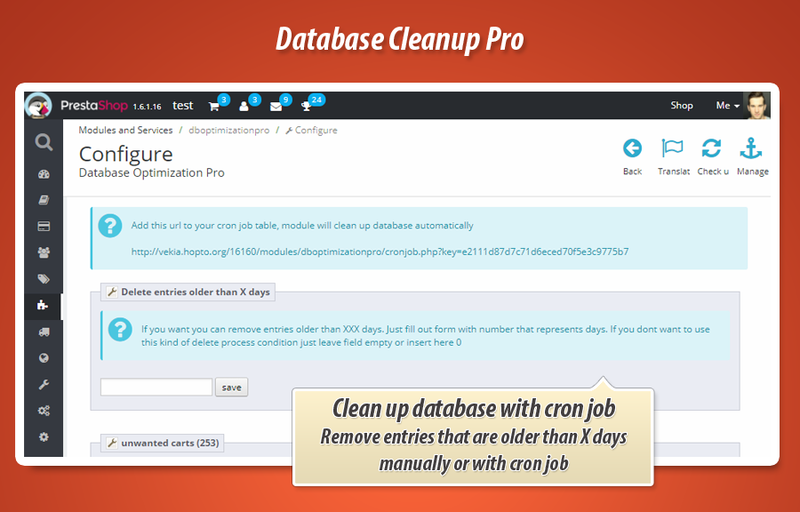 Main and most important fact of extended version of free module is possibility to clean up database automatically with cron jobs and clean up entries that are older than defined number of days.